All doggies wag their tails. Sometimes it means we’re happy. Other times angry. Or alert. Or on the attack. Maybe we’re just being playful. Why does your little doggie wag it’s tail? It’s a way of communicating. 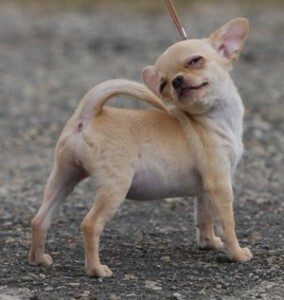 I know because I’m a Chihuahua with a little tail that works hard. You can find out everything you ever wanted to know about the fine art of tail wagging by reading the following tales from PetPlace.